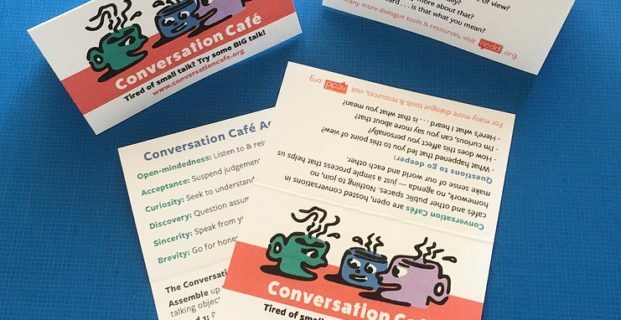 One of our favorite things about Conversation Café is its simplicity. 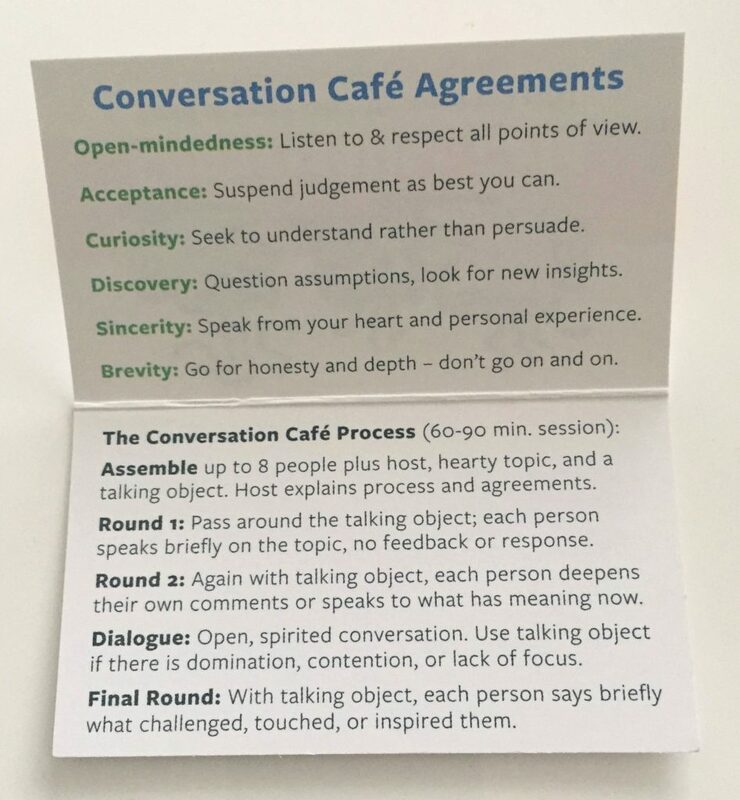 The fact that the CC agreements and process can fit on a folded business card never ceases to amaze! We just updated the CC “wallet cards” and created new documents that allow you to print and cut out your own cards. Printing them out on card stock or cover stock is best, and cutting them out with a paper cutter works well if you have one! We also got a whole bunch of them printed, and we’re happy to mail them out to those of you who need them in bulk. Email Sandy Heierbacher at sandy@ncdd.org to discuss the details. I live in Argentina. I lead a Peace Center and I would like to start this kind of meeting…it sounds very interesting ! Questions: do you offer something to drink or eat ? or this is just at the end…? Does this has any cost for the participants? Do you fix date and topic for next meeting? Is it required to suscribe previously? Thank you, may be I will need more answers as soon as we start. I shall close with praise — well done!